The Atlantic League of Professional Baseball Clubs (ALPB) today named the recipients of the league’s July Player and Pitcher of the Month awards. Long Island Ducks outfielder and hitting coach Lew Ford has been named the Atlantic League’s Player of the Month for July. The ninth-year Duck compiled an impressive .380 batting average in 24 games during the month. He led Long Island with six home runs, 28 RBIs, 20 runs scored, a .663 slugging percentage and a 1.083 OPS. The 41-year-old also collected 35 hits, six doubles, a triple and compiled a .420 on-base percentage. Ford hit safely in 21 of his 24 games played, including 11 consecutive games from July 8 through 25. The six-year MLB veteran also represented the Liberty Division at the Atlantic League All-Star Game on Long Island, where he went 1-for-3 at the plate. 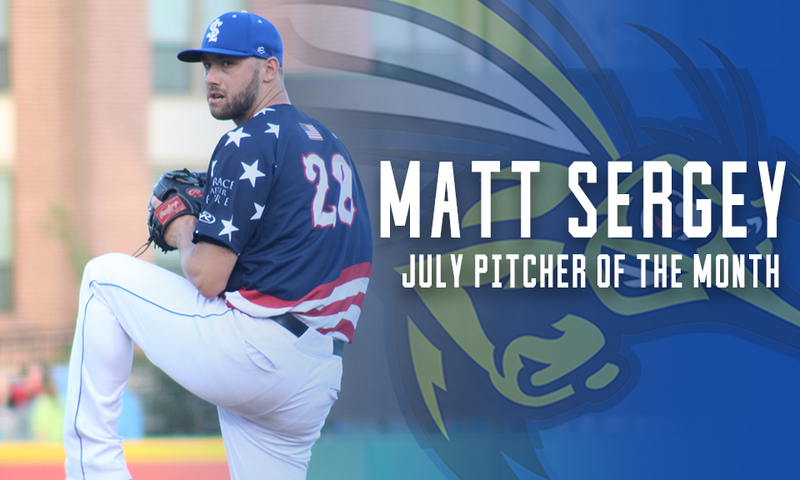 Sugar Land Skeeters right-hander Matt Sergey has been chosen as the Atlantic League’s Pitcher of the Month. In five starts during July, he accrued a 3-0 record with a miniscule 1.61 ERA. The 29-year-old struck out 26 batters over 28 innings of work while conceding just five earned runs and four walks. He held opponents to a .218 batting average during the month, helping the Skeeters to a league-best 16-7 start to the second half. Sergey earned three consecutive wins to begin the month, highlighted by a nine-strikeout performance on July 13 where he tossed seven scoreless innings against the Road Warriors. The first-year Skeeter did not allow a run in three of his five starts.